The Greater Robinson Chamber of Commerce is excited to announce our new alliance with the Texas Chamber of Commerce Energy Association (TCCEA). This affiliation is designed to bring immediate and ongoing electricity cost savings to you, the Robinson Chamber members. TCCEA’s program will leverage the combined purchasing power of our members and 1,000s of other businesses across the state of Texas to negotiate with the electricity providers for lower electricity rates. TCCEA’s preliminary analysis indicates that most Robinson Chamber members will be able to reduce their electricity rates by at least 45%. TCCEA has recently helped businesses in the area save over 65% on their energy costs. In order to find out what your savings would be, simply fill out the attached one-page authorization form, and fax it along with a copy of a recent electric bill to 1-800-380-3395. This does not obligate you in any way, but it allows TCCEA to perform a free cost analysis of your electricity usage and obtain rate quotes for you through the TCCEA program. You then have the choice to utilize the savings or to pass on the opportunity. Either way, there is no cost to you. 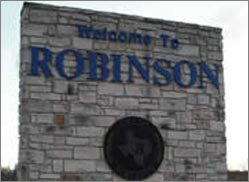 We hope this reaffirms our commitment to serving the Greater Robinson business community. If you have any questions about TCCEA, please feel free to contact me or TCCEA directly. Our area representative, Keelan Johnson, can be reached at 325-456-3635.